This year we’ve been fortunate to review multiple “new for 2018” roller coasters, from the incredible Steel Vengeance, to the kid friendly Merlin’s Mayhem. Last week I was able to ride Slinky Dog Dash at Disney’s Hollywood Studios with my five year old son (thank you 38 inch height requirement). 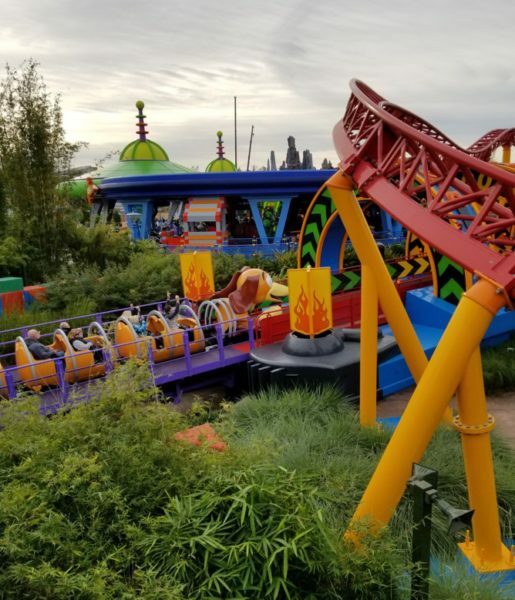 This Mack Rides double launch coaster is the anchor to Toy Story Land, newly opened this past summer. 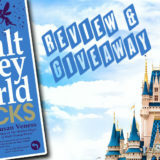 We booked our November Walt Disney World trip back in July. We were staying in Disney’s All-Star Movies hotel so we could begin reserving our FastPasses sixty days in advance. I woke up and logged onto MyDisneyExperience at 7am on the first day we could begin choosing our Fastpasses (the earliest possible time as far as I know). 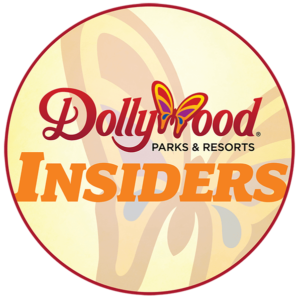 I was dismayed to find out all the FastPasses for the three biggest rides I wanted to hit were already completely gone: Seven Dwarves Mine Ride (Magic Kingdom), Flight of Passage (Animal Kingdom), and Slinky Dog Dash. Unless we got lucky and landed a FastPass later (we didn’t) we’d have to use the standby line. Having learned our lesson the day before when we bailed out of an hour-and-a-half long line for Seven Dwarves Mine Ride within minutes of park opening, we decided to get to the park early and head straight for Slinky Dog. We arrived at the part around 8:15am, 45 minutes before opening. 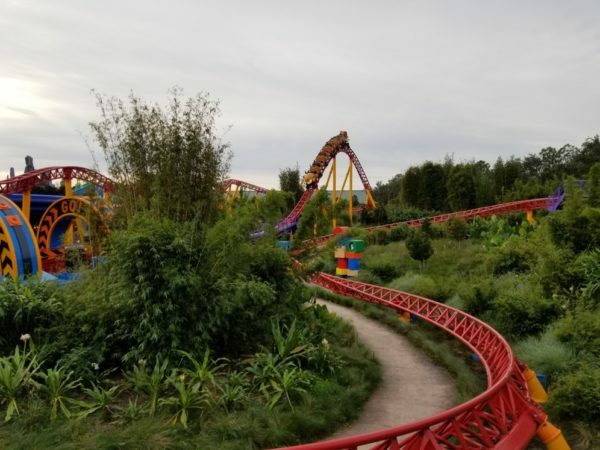 At 8:30, they opened the gates and guests begin running to the coaster, which was already cycling full trains of happy guests by the time we got to the new Toy Story Land. The crowd looked big but after only a ten minute wait we climbed aboard the cute and spacious vehicle. In moments we were making the right hand turn into the first launch. I’m not sure if the top speed of 40mph is hit at the end of the first or second launch. Either way, the ride never looks or feels like it’s going that fast. A few butter-smooth twists and turns and we pause at the start of the second launch. The train is pulled backwards, like we’re about to be launched by rubber bands or something. Another hill, a series of bunny hops, an S turn later and we’re back in the station. After getting off the coaster the line looked like it was easily over an hour and half. So if you showed up to the park at 9am thinking you were going to get on the coaster quickly, you’d be sorely disappointed. As for the ride itself, I thought it was just “ok.” It’s pretty forceless, even for a family coaster. I was hoping for a little air time on all of those bunny hills but sadly there was none to be found. Regardless, it was my five year old’s fourteenth and first launched roller coaster. 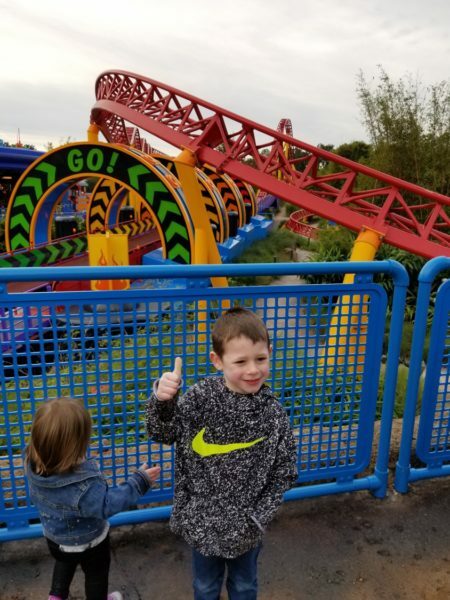 While he was quite nervous (and had to be bribed with the promise of a Mickey Pretzel WITH cheese) he ended up loving the ride and rode a second time with his mom courtesy of the rider switch program. For us coaster enthusiasts, it might be one of those rides that is more fun to watch than ride. Even my kids (future coaster nerds) loved watching launch after launch. It is captivating how they pump those trains through one after another with remarkable consistency. Disney really knows how to move people, maybe because they let you ride with full backpacks, no medal detectors or lockers required. Unlike most of the other Disney coasters, the entirety of the layout can be viewed from the midway, which is great for spectators but takes away from the mystery and the thrill of the attraction. The only real “surprise” is the singing Wheezy animatronic at the end of the ride. 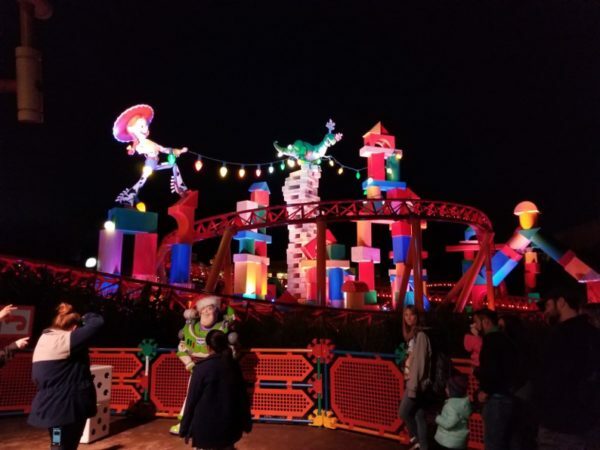 The entire Toy Story Land needs to be explored twice: during the day and after the sun goes down. The nighttime lighting package is good – but maybe not quite as good as the KCL Engineering treatment in my humble opinion. I will say though the audio, in particular the sound effects and character voices heard throughout the land are excellent. 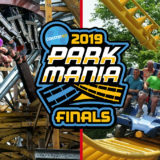 Comparing to other family coasters, between Merlin’s Mayhem at Dutch Wonderland and Slinky Dog Dash, I think Merlin is the better and more thrilling roller coaster ride, but Dash is the better overall experience because of the theming (we’re big Toy Story fans). 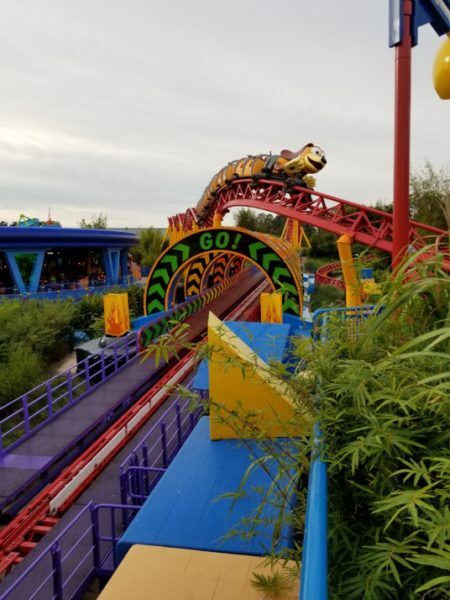 But between Slinky Dog Dash and Seven Dwarves Mine Ride, I would probably take Mine Ride because the show scenes make a more unique and complete experience. Either way, I wouldn’t wait more than an hour to experience this coaster, though you may well have to when the crowds continue to flock to this park with the addition of Star Wars: Galaxy’s Edge (which you can catch a peek of when cresting the hill after the second launch). Stay tuned for more updates from our Walt Disney World adventure, including holiday magic and my thoughts on possibly the most immersive ride I’ve ever experienced. 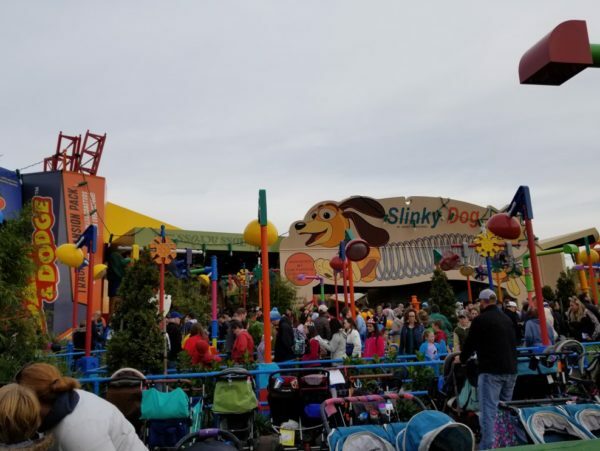 Have you been on Slinky Dog Dash? What do you think of the ride? Did you use FastPass+ or Standby?